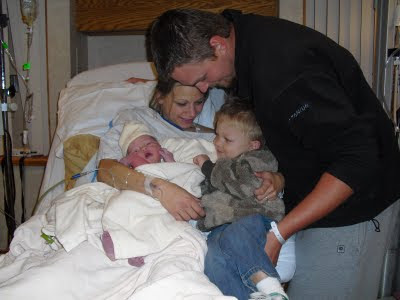 The Yazwinski Clan: Welcome Sawyer Jeffery Hart!!!! Hey this is Stella...I've hijacked mommy's computer because she is taking forever to post about my new cousin. 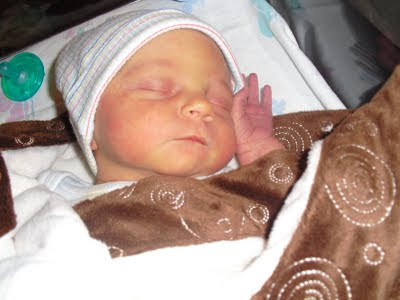 Sawyer Jeffery was born October 9th and is so you (as you can tell in the pictures). 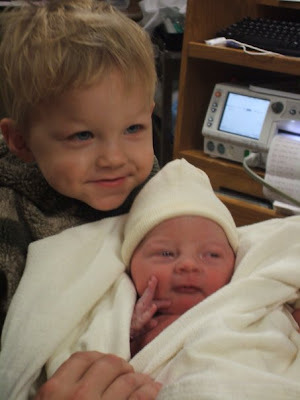 That is my new cousin with my other cousin Hunter. They are so fun! He is a little guy and I'm sure I'll get to beat up on him at Christmas when the whole family is in Oregon. That's my Aunt Booba and Uncle Beau. They are great parents and I think Sawyer is a lucky guy to have them as his mommy and daddy!